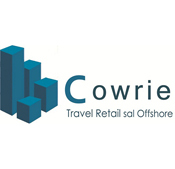 The company, Cowrie Travel Retail, was established in 2006 having its headquarters in Beirut, Lebanon. The company is managed by a group of professionals in the duty free business and sales on board. The main commercial activity of Cowrie is the Supply of prestigious airline carriers with prestigious brands for tax-free onboard retail in the Arabian Gulf, Middle East regions & Africa. Cowrie Travel Retail has a large portfolio in the world of beauty as well as tobacco and spirits: Guerlain, L’Oreal Paris, MAYBELLINE, The Body Shop, Serge Lutens, IKKS, Rovina, Wenger, Lambretta, Buckley Jewellery, Diageo, JTI, BAT, and the portfolio is keeping on growing continuously. Commercial through our industry contacts and power to negotiate for sales optimization, marketing, competition analysis , reporting and administration.